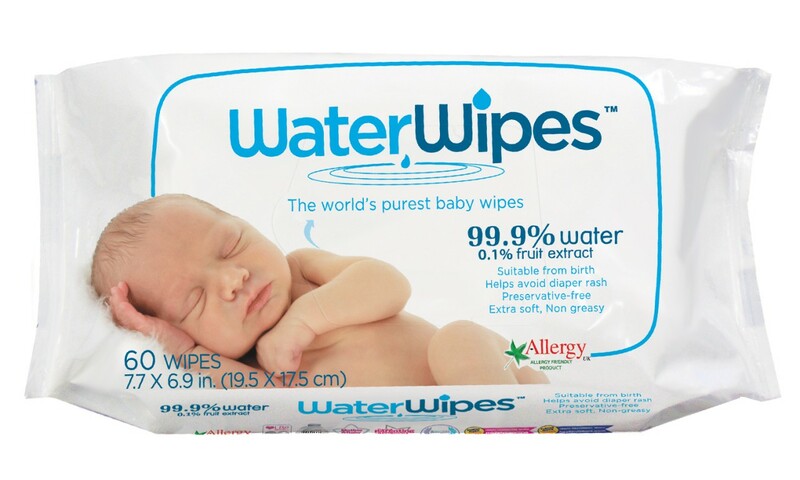 WaterWipes has an amazing giveaway for your lucky readers: a three month supply of WaterWipes. Fall in love with the world’s purest baby wipe for the world’s most sensitive skin. To enter all you need to do is use the Rafflecopter form below and don't forget to check out my other competitions too! Good luck! Bickiepegs for a teething boy! Muslins, spare clothes and toys. Sudocrem, a change of clothing and of course nappies. A change of clothing for baby and mum, nappies, soothers, muslin cloths, swaddle blanket. I would LOVE to win these water wipes. We are expecting our baby boy in February and these would be brilliant! Thank you! Not sure yet, my first is due in April! My children are too old for me to need a changing bag but we use natural wipes for our daughter who has very sensitive skin. A change of clothes - I have been caught out too many times!!!! Spare clothes!! You never know when a poonami might strike!! A swaddle muslin. Perfect for an impromptu diaper change! A muslin. Useful for so many things! Little finger snacks for hungry kids. Nappies for the baby & a spare pair of knickers for the 2 year old! Muslins, spare clothes, and some kind of toy. Muslins for babies and a snack for toddlers. More spare clothes than you would think you would ever need! Most essential thing? The nappies, of course. Nappies, nappy sacks and a drink! Definitely a change of clothes! My youngest is a proper mucky pup and we change her at least one if not more during the day! Zip lock bags.. These are amazing for finding things. I hated searching through pockets so I bought a plan bag without sections and various sizes of zip lock bags. A fabric one for nappies and wipes. A few plastic ones for creams and lotions and I put an empty one in for dirty/ wet bibs and clothes I also had a different fabric one for a few changes of clothes then one final small make up bag filled with all my keys, make up, an extra bra and any pads etc needed. That left only my purse and bottles in the bag if I needed them plus I could easily remove bags to wash the bits inside. This made going out so much easier! A full change of clothes, plastic bags for dirties, nappy cream , (and sun spray in the summer!) a bag of snacks and a satsuma for little bit, and water for me. Nappies, change of clothes, snacks, mobile phone! A full change of clothes - there's always an explosion when you least expect it! A plastic bag helps to put all of the dirty clothes in too. Snacks - the worlds best distraction!!! a couple of muslins, great for mopping up anything! Spare clothes for those messy times. Nappies, hand sanitiser and nappy cream. nappies, changing mat, nappy sacks, sudocrem, spare clothes, snacks, anti-bac gel, toys, book! nappies, sudocrem, dry tissues, snacks, spare food jars, toys. Nappies, milk, change of clothes, muslin cloths and bibs! Spare clothes, nappies, nappy bags, snacks and dummys! Muslins :) I'd be lost without them! Nappies and a change of clothes! A set of spare clothes! Nappies, sudocrem, nappy bags, muslins & snacks. Nappies, cream, a small folding change mat to put on the change table and nappy bags. I also have spare clothes! I'm out of touch as to what should be in a baby changing bag, but these wipes seem like a fabulous natural product that will be ideal to recommend to my daughter who is pregnant with our first grandchild, due in June! Changing mat and nappy bags! Nappies, anti bacterial gel, change of clothes, cloth, cream, snack.